"I love your training kits. They are well received by my staff...your kits are a godsend." 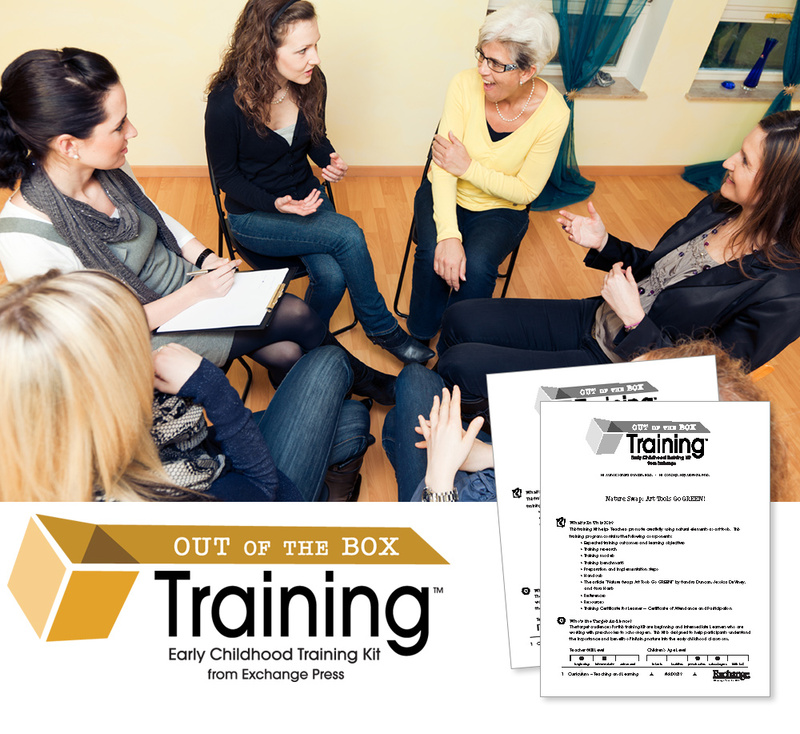 Run an early childhood professional development training class with our Out of the Box Training Kits. An article from Exchange magazine serves as the foundation for each Kit and is included as a handout. Each kit includes step-by-step instructions for preparing, conducting, and evaluating your training session. They are also extremely flexible, allowing you to incorporate your own ideas and exercises to meet any special needs of your staff. Out of the Box Training Kits are available in both print and downloadable PDF formats. Review the topics below and order today! *Certification and state licensing requirements for early childhood educators vary significantly. To find out if Out of the Box Training Kits will be accepted for your requirements, we recommend that you contact your certifying or state licensing agency.